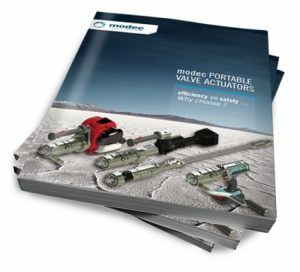 Valve Assist from modec is a range of portable power tools designed to take the hard work out of operating manual valves. Valves can become difficult to operate for a number of reasons. Mostly due to long periods where the valve is never operated. During this time, the moving parts within deteriorate. Lubrication dries up and corrosion may set in. A program of valve exercising is essential to keeping valves in good working order and identifying maintenance needs. This is where ‘Valve Assist’ comes in to its own. Each portable drive tool is equipped with a mounting kit designed to couple the drive tool to the valve input shaft or hand wheel. 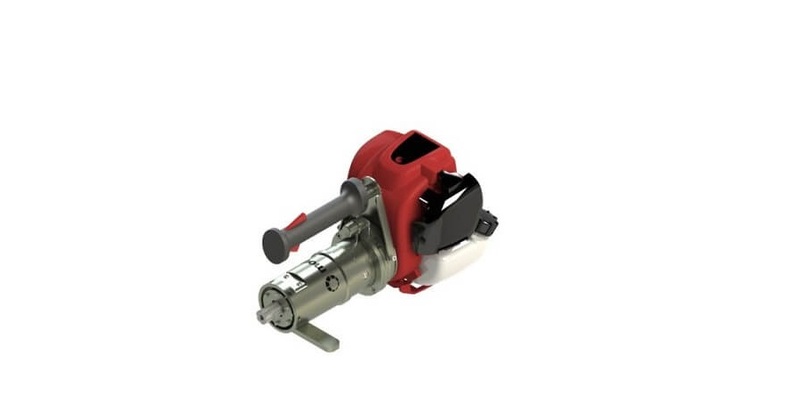 As well as this, the tool incorporates a reaction device design to absorb any torque load when the valve encounters a tight spot or stops on its seat. This all makes Valve Assist a compelling proposition to significantly speed up operation and also reduce the risk of strain injury to the operator. Thanks to their long life batteries, the electric actuator is able to deliver a high power for more than 30 minutes. This means they are not dependent on an energy source.The gas actuator can be used in total autonomy, the only limit being the available petrol supply. 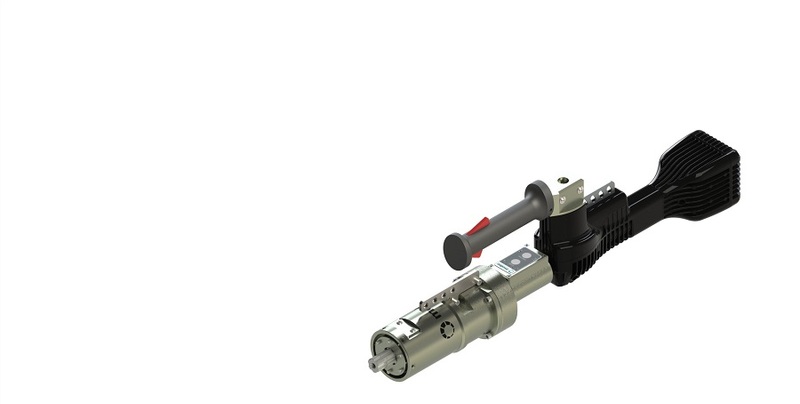 The pneumatic portable valve actuator is the most compact, light and powerful. You can have them ATEX II certified, they can go to stall and they don’t generate heat, sparks or smoke. All our portable actuators are available in 3 versions “Easy” “Standard” and “Heavy” duty. Valve Assist, portable valve actuators are designed to speed up the operation of large valves, and also valves which have become stiff to operate over extended periods without use or maintenance. Included as standard. Compatible with all our adaptors range. Using a right angle head increases the torque and decreases the speed. It is the best solution to reach tight spots. For rising stem valves. Available in standard and heavy duty. All heads are compatible with any motor. This exclusive patented system is the simplest and most effective for clamping on to flat or slightly tapered handwheels. The spoke adaptors clamp solidly and quickly to the handwheel and can turn in both directions, with or without a rising stem. These adaptors must be fixed to the handwheel before use. Comprehensive range of interfaces and extension bars for all configuration types. Included as standard with all delivery. Ideal for valves buried beneath roads, or for any valve which has an upward facing handwheel. The bipod is light, small, easy to use and practical. It’s adapted for use in a wide variety of situations. 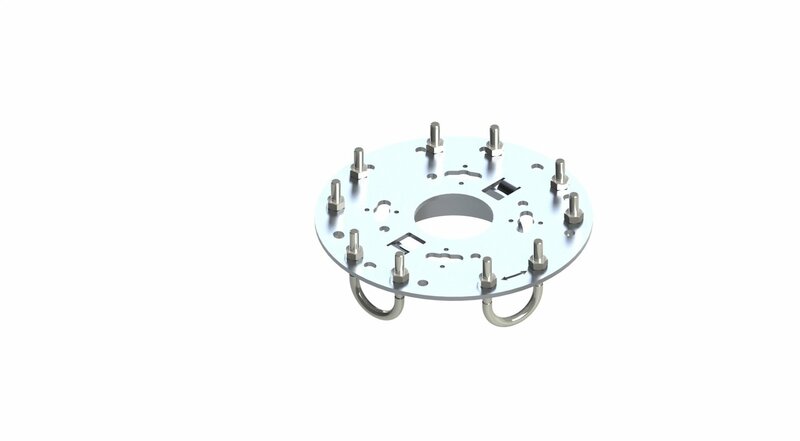 These flanges are made to order by our technical department based on the specific characteristics of your system. To guarantee operator safety and comfort, it’s essential to use a torque reaction management system. Several types of system are available for use in different situations. 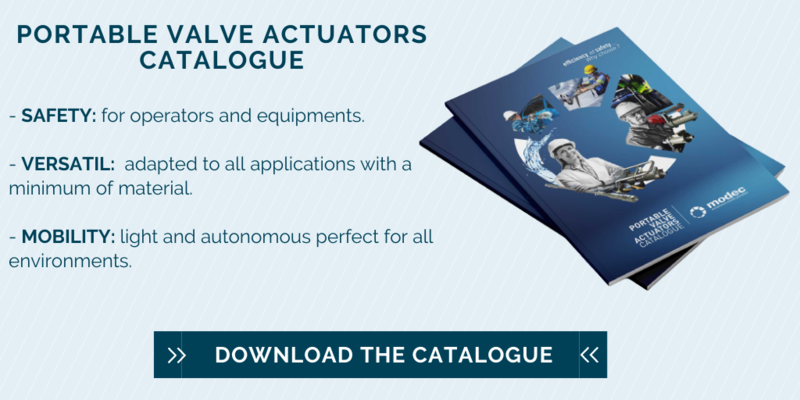 Each is compatible with the whole range of actuators and adaptors because of their identical flange. Only available for the HL83 Easy duty and Standard duty range, the right angle head RA20 is very light and compact. It enables the actuator to operate in small, tight spaces. The digital revolution counter adds up the turns in one direction and subtracts them in the other. 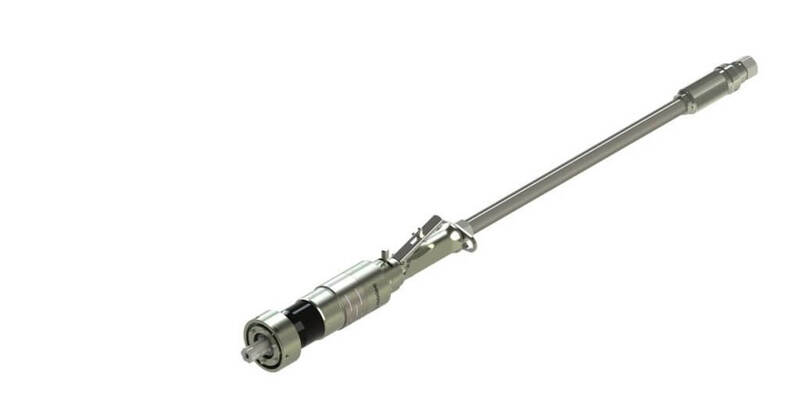 The torque limiter for modec portable valve actuators means you can disconnect the motor section from the gear box section when the torque limit is reached. 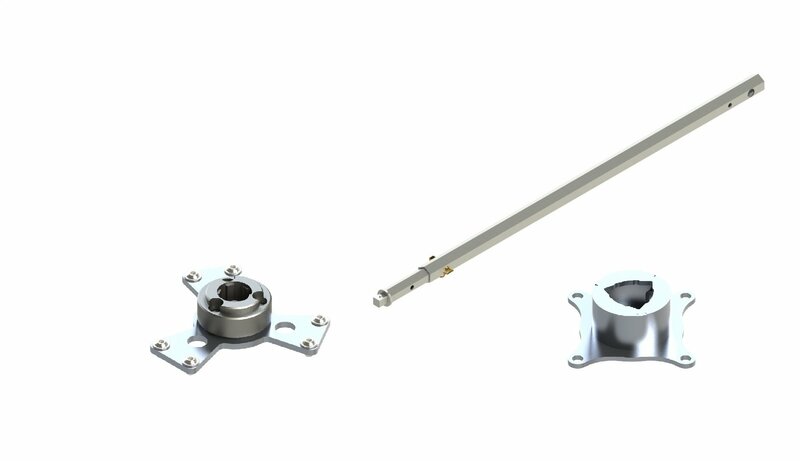 Options are built into the actuator during factory assembly and cannot be added or removed at a later stage. Pneumatic portable valve actuators (HL83) require dry, clean and properly lubricated air in order to work effectively. The SAT Box (Safety Air Treatment box) is a safety device that protects the user and the equipment. It is recommended to use a silencer with pneumatic portable actuators. It fixes to the actuator’s exhaust vent and reduces the sound level. Extremely robust, these transport and storage cases are designed to order so that all the equipment fits snugly into a pre-cut protective foam. For regular professional use, the modec kit box is a metal case that can hold all the equipment necessary for various operations. Protecting workers against the possibility of strain injury is just one of a host of Health and Safety issues which are a high priority in any work place. Injuries of this type sustained when operating valve wheels can now be avoided with Valve Assist from Modec. Not only is the risk of strain injury significantly reduced, but productivity is improved by speeding up valve operation. Modec Valve Assist range of Portable Valve Actuators provides a simple, cost effective way of greatly reducing the strain associated with operating ‘difficult’ valves or other equipment originally designed to be manually operated, for example an aging Penstock mechanism in the Water Industry.